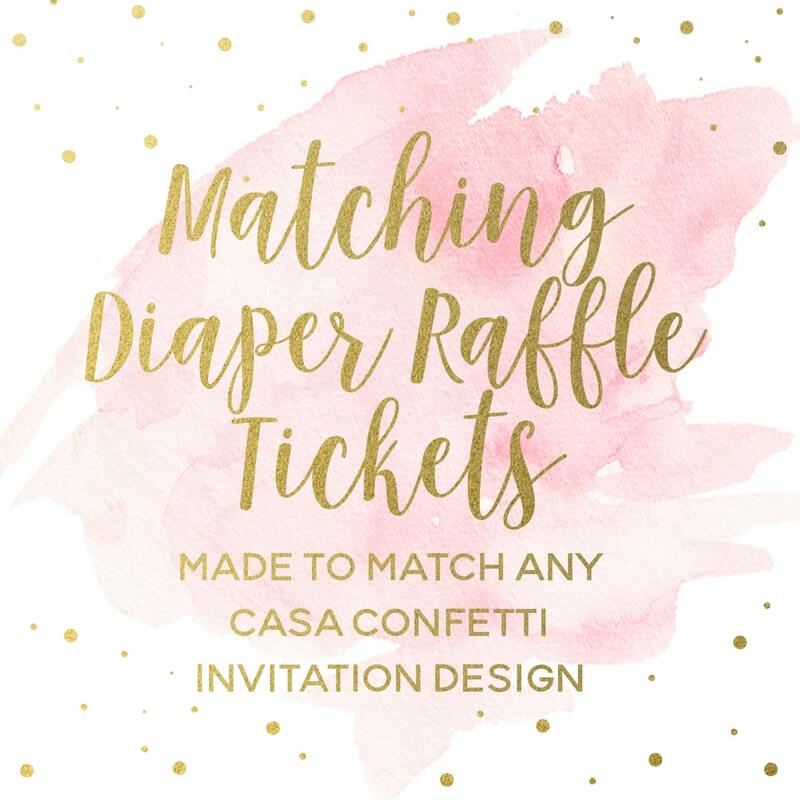 As I get my shop off the ground, I am trying to create coordinating party printables for each of my invitation designs, but in the meantime, if you'd like a coordinating diaper raffle ticket to go with your design but don't see one listed, please purchase this listing and I will create it especially for you! With this listing you can select either a PRINTABLE PDF file with eight (8) cards per sheet, or order as many printed diaper raffle tickets as you need. Each ticket is 3.5" wide x 2" tall (business card sized). If you order the printable version, I will email you a proof, and once finalized, you will be emailed a PRINTABLE high-resolution PDF with 8 tickets per page. They are designed to print on 8.5x11 and then you can just cut.